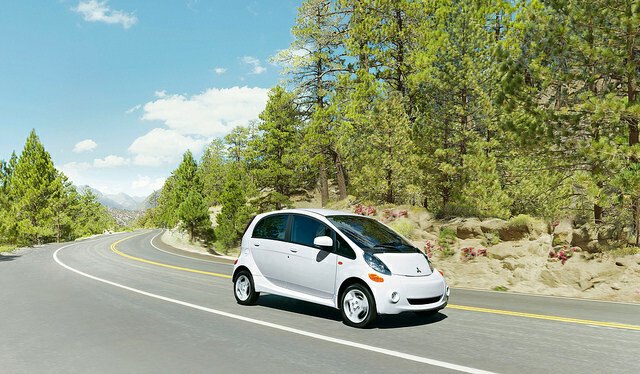 Learn more about the 2016 Mitsubishi i-MiEV! 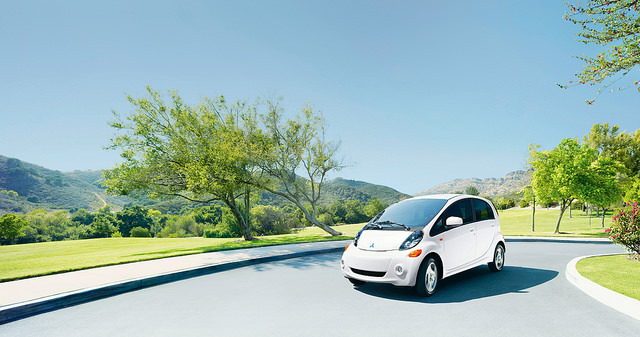 You Are Here: Home > New Vehicles > i-MiEV > Learn more about the 2016 Mitsubishi i-MiEV! 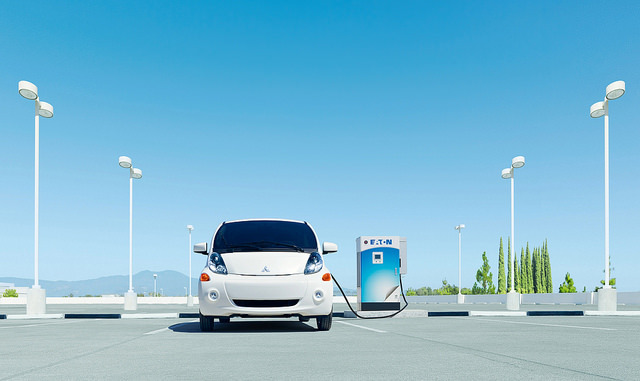 Coming soon to Carriage Mitsubishi – the 2016 Mitsubishi i-MiEV! After taking a year off, the new 2016 Mitsubishi i-MiEV is going to be arriving to dealerships during March 2015! Even after a year hiatus, the 2016 i-MiEV can still boast about being one of the most affordable electric vehicles on the market, with a low starting price of $22,995 (not including handling and fees). Then you must not forget the beneficial $7,500 Federal Tax credit you can subtract from the MSRP, for an even more affordable price of $15,495. The 100% electric Mitsubishi i-MiEV may look small, but it has seating for up to four and fuel efficiency to keep you going and going and going. The 2016 i-MiEV can achieve an impressive 126 mpg city and 99 mpg highway*. You might be wondering: What is new for the 2016 Mitsubishi i-MiEV? The 2016 i-MiEV will have an optional Navigation Package that includes an MMCS navigation system with a 7-inch touch-screen display, real-time traffic updates, and 3D maps with Mapcare®. You will also find Bluetooth® hands-free phone system, a USB port, and a rear view camera. Standard interior features include: a leather wrapped steering wheel and shift knob, driver and front passenger heated seats, 6-speaker audio system with MP3/WMA playback, electric manual air conditioning with micron filter, electric compressor cabin heating, remote keyless entry, power windows, side mirrors, and door locks, 50/50 split fold down and recline rear seats, passenger side vanity mirror with lid, and numerous color/trim upgrades. Standard exterior features include: aluminum wheels, heated side view mirrors, front fog lights, rear LED combination tail lights, Daytime Running Lights, and black-out door sash trim. If you have any more questions about the 2016 Mitsubishi i-MiEV, be sure to contact one of our knowledgeable sales team members here at Carriage Mitsubishi and they will be happy to answer any questions you may have!